In some Asian tropical rainforest, four frugivorous civets live sympatrically. As is often the case with tropical rainforests, where the species diversity is very high, the related species can coexist. However, the mechanism of coexistence is rarely studied. In this study, I reveal life history of each frugivorous civet and the background of their mechanism of coexistence. Especially, I hypothesized that each species differentiate their special utility, in other words, tree heights, at vertical column. In this expedition, I stayed at Tabin Wildlife Reserve, Sabah, Malaysia from July 2010 to December 2010 to validate this hypothesis. I tried to elucidate their special utilities and three-dimensional distributions with barometric height indicator attached to VHF telemetry. Firstly, I conducted preliminary experiment on the degree of precision of height indicators. I determined that I can estimate their height utilities indirectly with that height indicator. 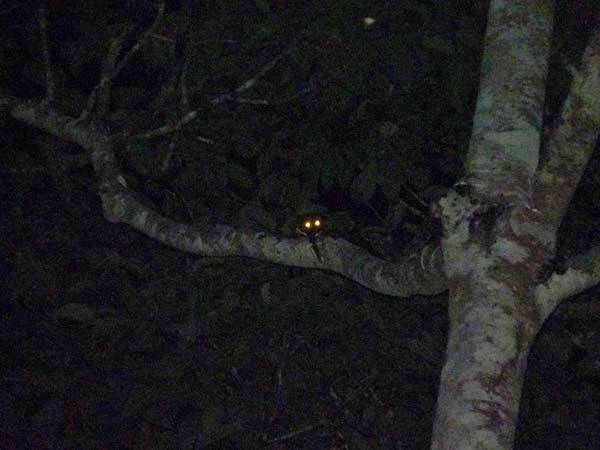 After this conformation, I tried to capture civets in Tabin Wildlife Reserve. 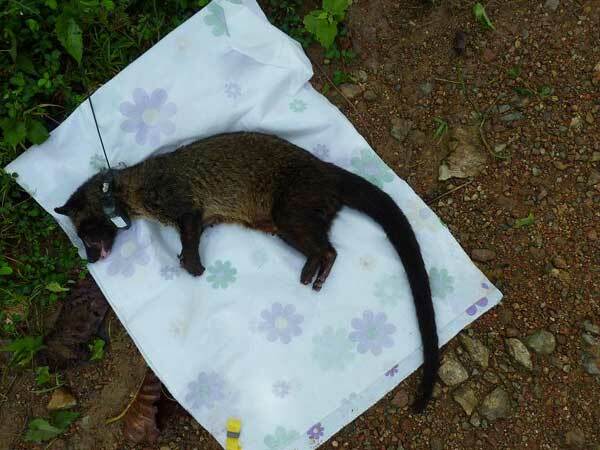 In total I captured eight Common palm civets (Paradoxurus hermaphroditus) and attached height indicators to six individuals. At this time, the data on height is being logged on the indicators. I will recapture these individuals and elucidate their height utility on next stay.